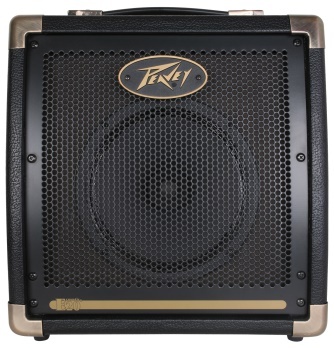 Peavey Ecoustic Series amplifiers are highly versatile amplification systems designed for acoustic instruments, vocals and line-level devices such as samplers and audio players in performance and rehearsal applications. The Ecoustic E20 is rated at 20 watts, and has a compact, lightweight design that make it ideal for rehearsals. The 2 separate inputs make the E20 ideal for sharing small rehearsal spaces with an another player, or playing along to pre-recorded material.